Empire Commercial Construction, a retail-specific division of regional general contractor Taylor–The Builders, has been awarded construction contracts for the new locations of Eastside Pediatrics and Fairport Pharmacy within the Whitney Town Center development located at 650 Whitney Road in Fairport, NY. Empire is teaming with Rochester-based Real Estate Development Services for the design of the Eastside Pediatrics custom build-out, while teaming with Getsloff Design and Meehan Architecture for the design of the Fairport Pharmacy custom build-out. Construction for both tenant spaces is underway, with completion in Mid-March of 2018. Since August of 2014, Eastside Pediatrics has been located in a multi-tenant office building located at 2828 Baird Road, providing personalized care for newborns through age 21. Their new 2,600-square-foot built-to-suit space in Whitney Town Center will feature a bright and welcoming lobby, five exam rooms, nurse’s station, and multiple offices while continuing to provide expert medical care for patients in a new fun and family oriented atmosphere. Currently located in Fairport Village Landing, Fairport Pharmacy is an independently-owned, service-oriented pharmacy, with over 20 years of experience specializing in assisting customers with a focus on individual attention at competitive prices. Their new 2,000-square-foot built-to-suit space in Whitney Town Center will continue to offer a wide range of pharmacy needs, with the added convenience of a café and coffee bar featuring Finger Lakes Coffee Roasters products. The newest place to live, shop and play on the east side! Whitney Town Center in Fairport, NY features 28,500-square-feet of retail space, professional offices and medical services, offering a warm and welcoming neighborhood shopping experience. With a potential mix of casual dining, service providers and retail shops, along with abundant outdoor recreation areas, there’s something for everyone. Current tenants include Zen Nail Spa II, Sew Creative, Sweet Charity, Pizza Chef, I Love Kickboxing, Fairport Pharmacy, and Eastside Pediatrics. For tenant leasing information, please visit www.WhitneyTownCenter.com. Empire Commercial Construction, a division of Taylor-The Builders, specializes in quick turn-around new construction, renovations and maintenance for commercial, medical, and retail space across New York State. Their project professionals have completed scores of renovations, build-outs and pad locations for premier national restaurants and retailers. They will make sure it’s built right, on time, the first time. Simply put…Retail Built Right. Visit us at www.RetailBuiltRight.com, or call 585-249-9198. 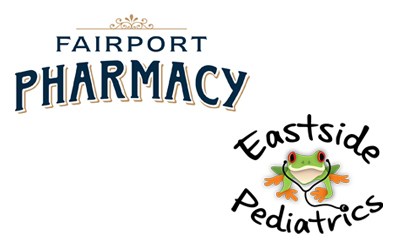 Empire has been awarded construction contracts for the new locations of Eastside Pediatrics and Fairport Pharmacy.